Read Gary's full article here. On industrial agriculture, being a "consumer", eating consciously, and working toward a local food system that meets our material needs. Read an update from Board Treasurer Magdalena Casper-Shipp. Elections for CGFC's Board of Directors are coming up! There's a Board Candidate Info Session in the classroom Monday, 7/9 from 5:30 to 6 pm. You can find the election information packet here and apply for the Board here. 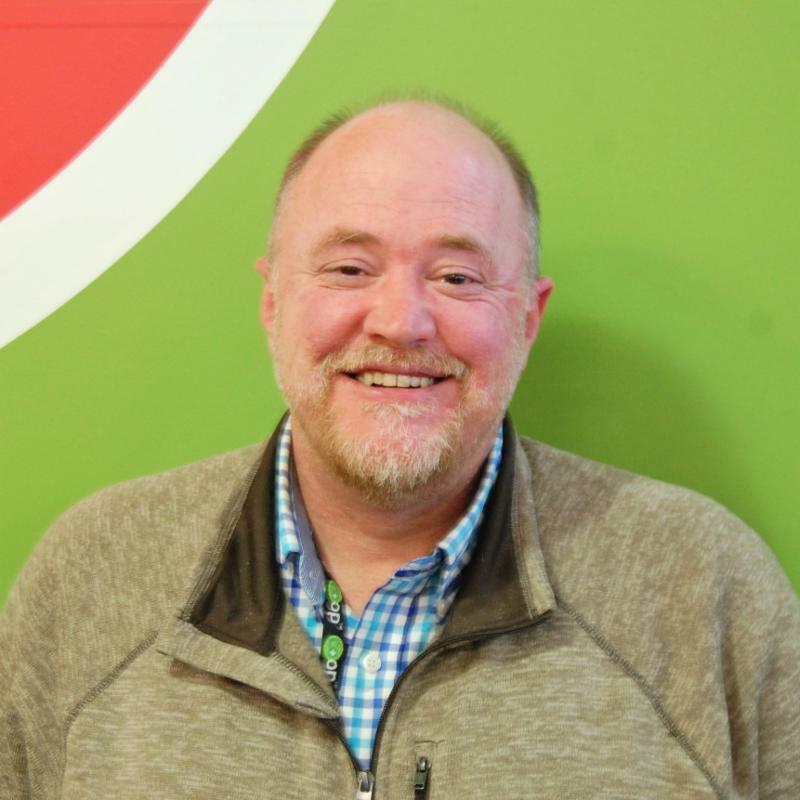 One of the conversations we've been having in the store has been on allowing staff who are owners to run for Common Ground's Board of Directors. In order for this to happen, there needs to be a change to the Bylaws, which currently state that "No director shall be an employee of the Co-op." To amend the Bylaws requires a petition signed by at least 5% of owners, followed by a vote at the annual Meeting of Owners in September (by a quorum of at least 3% of owners) in favor of the amendment. Click here if you would like to sign the petition in support of the proposed amendment. Local Pancake Breakfast: $1 pancakes! 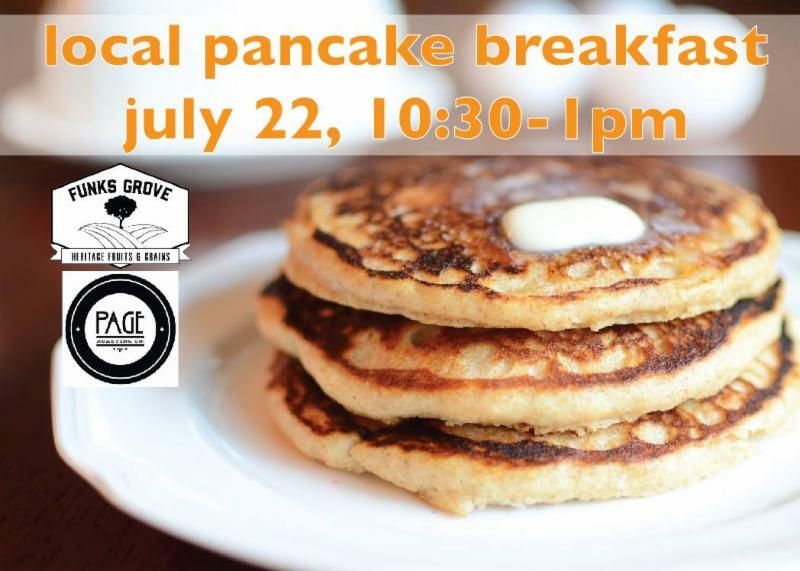 Join us for our first Local Pancake Breakfast , Sunday July 22 in our Flatlander classroom! Meet local producers & enjoy a locally themed breakfast. Invite family & friends! 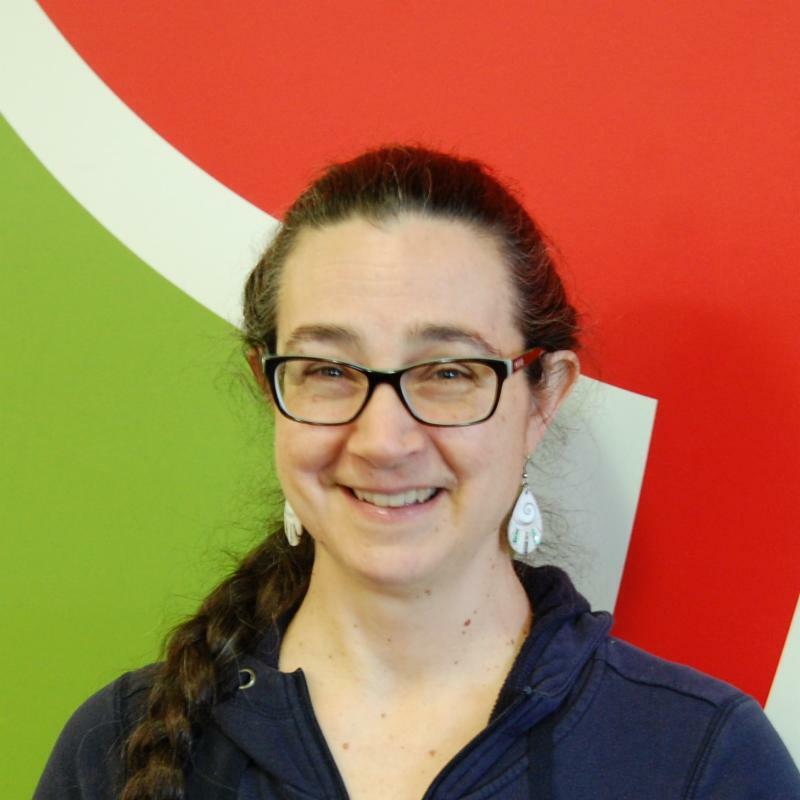 Join us in a Community Song Circle led by Lyndsey Scott, Saturday, July 21, 9:30-11:30am. All are welcome to participate in community song on our front porch during Urbana's Market at the Square and are invited to share their voice! If you are looking for high quality, locally raised beef, pork, poultry or bison, we’ve got it. Arnold and Jessica in our meat and cheese department order from 6 local livestock farmers, so you’ll always find a nice selection of fresh and frozen local meat for your next grill-out. Lieb Farm is our local source for 100% grass-fed pasture-raised bison and we are pleased to offer bison ribeye steaks as well as ground and New York Strip steaks. New offerings from Stan at Triple S Farms include smoked andouille sausage, Lil Hog Dogs and Lil Beef Wieners, all uncured and nitrate-free. All the animals raised by Triple S are fed on certified organic pasture. The dogs, wieners and new 100% beef sliders were featured at our first Chill and Grill event in early June and were delicious! 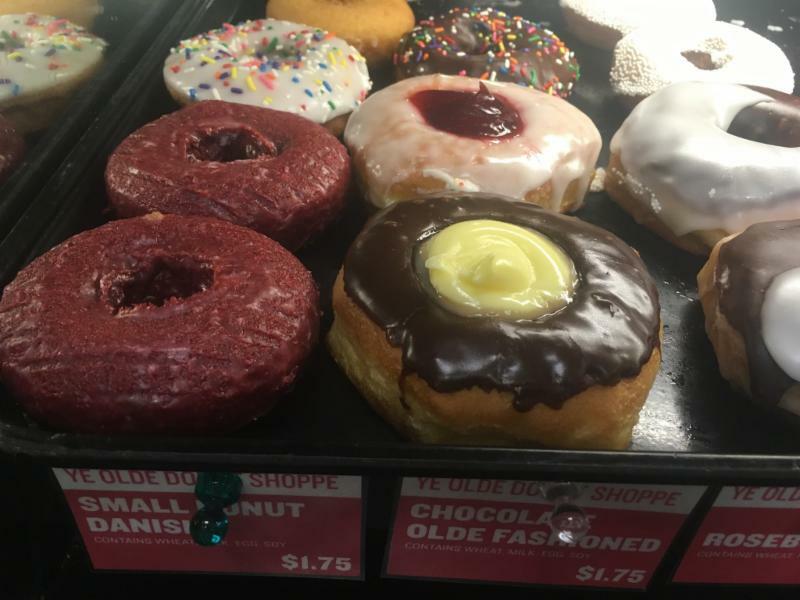 We're thrilled to carry Ye Olde Donuts in our bakery, a C-U favorite since 1956! They have had the same donut baker for 35 years. An assortment of flavors for $1.75 a piece, available daily. Typical of this time of year, we have a bunch of new local produce: s weet corn, cucumbers (green and white), tomatillos, green kale, red kale, chard, purple peppers, r ed cabbage, gold beets, green peppers, celery, sweet onions, dill seed heads, & tarragon. High-quality Bilinski's Certified Organic Chicken Sausages are delicious and available in the meat department alongside all our new local meat options. Fire Brew apple cider vinegar-based health tonics are now available in Wellness. Terra Natural Designs fanny packs are making a splash, too! Check them out if you need some extra style and pockets. Try one for $4.49. 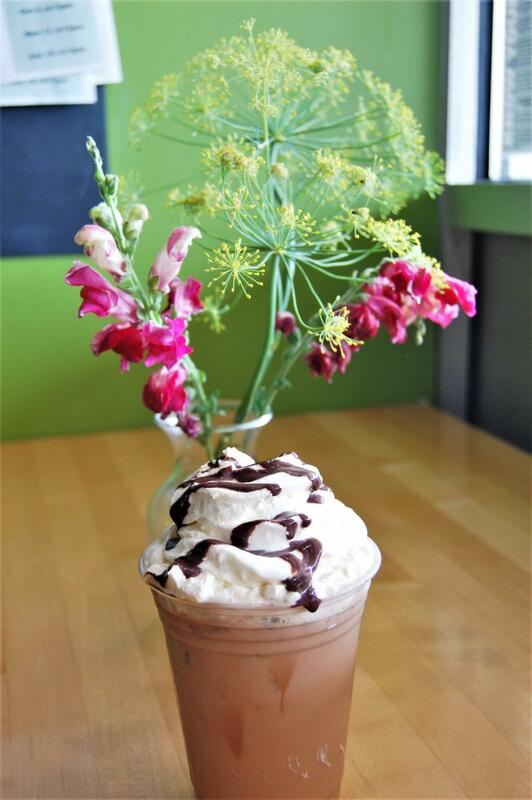 Don't forget your punch card! 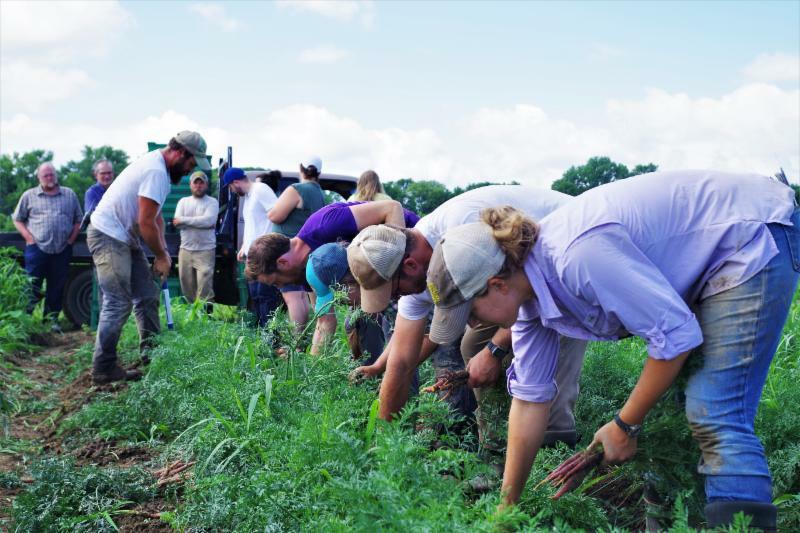 Read about our recent visit to PrairiErth Farm in Atlanta, IL, where we met up with our cooperative buddies at Green Top Grocery. 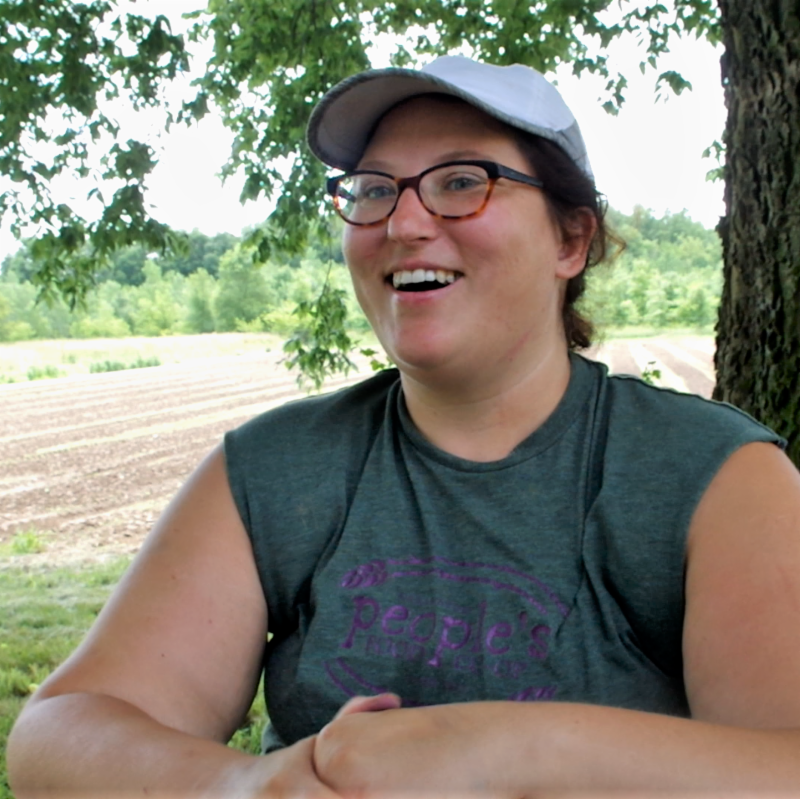 We toured the farm and learned about their Food Hub project, talked with farmer Katie Bishop (below), then visited Green Top for lunch and a quick tour there.
" I talk to farmers all over the Midwest. 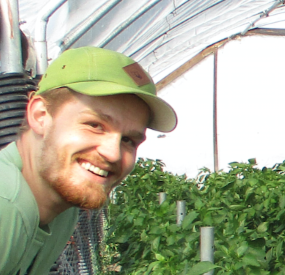 We have wonderful connections with other farmers and what I’m hearing is that their contracts with Whole Foods, their relationships with CSA, their CSA numbers are declining and the only constant and steady business that they have is with their co-ops. These are co-ops in Minnesota and Wisconsin and all over the place and I feel like the future of local food falls in the hands of the co-ops to be able to continue to keep this going because of the transparency and honesty and the commitment that co-ops show towards their farmers verses these big box stores. 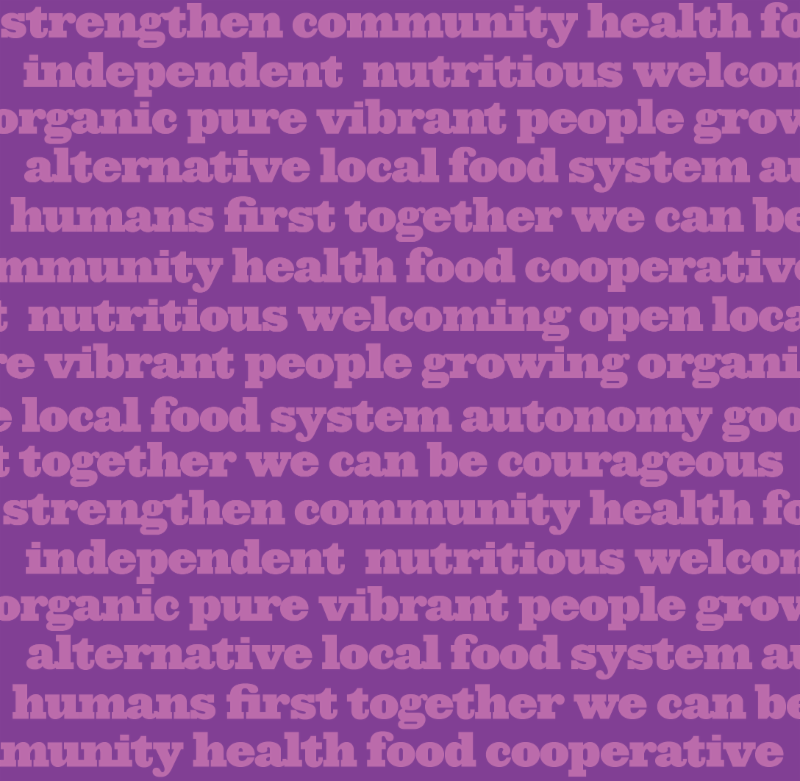 So it’s super important that we continue to support our co-ops because they might be the only option that we have moving forward for real local food." 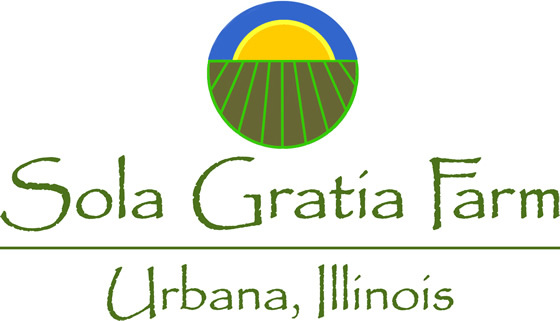 This month, you can round up your total and support Sola Gratia Farm, a unique non-profit urban farm in Urbana dedicated to serving the community by growing fresh produce. 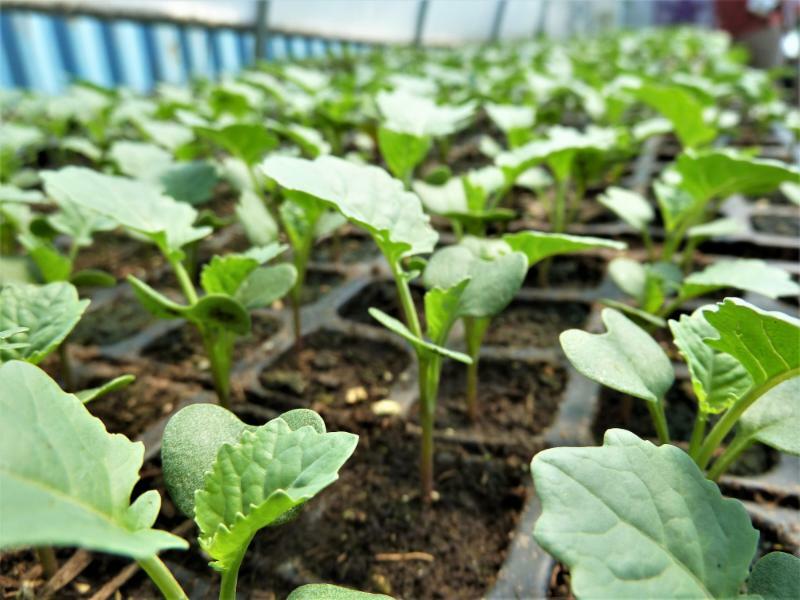 They pledge to donate 10% of their harvest to local food pantries - as it happens, they've donated nearly one-third of all the produce they've ever grown to feed the hungry in our community. Reauthorizes the Rural Cooperative Development Grant (RCDG) program, the only federal program dedicated to advancing the impact of cooperative businesses. Reauthorizes America’s flagship food aid program, Food for Peace. Includes the Rural Jobs and Investment Act, which creates a Rural Innovation Stronger Economy (RISE) grant program. Cooperative Development Organizations are expressly eligible to receive support under the RISE grant program, which is designed to grow regional economies. 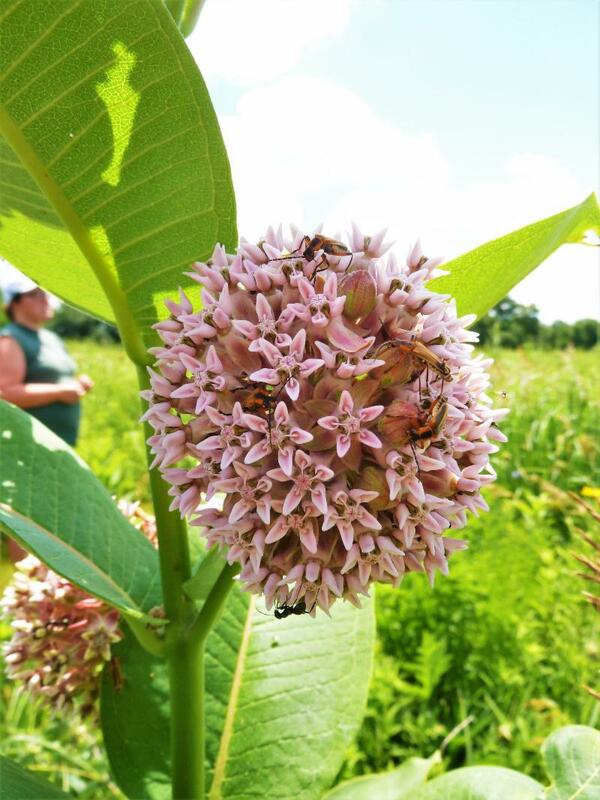 See what's new for the month of July in our classes email. You can always sign up online or in-store and classes are listed on the class calendar. Valid through end of July. May not be reused or used for sale items, Basics, or alcohol.